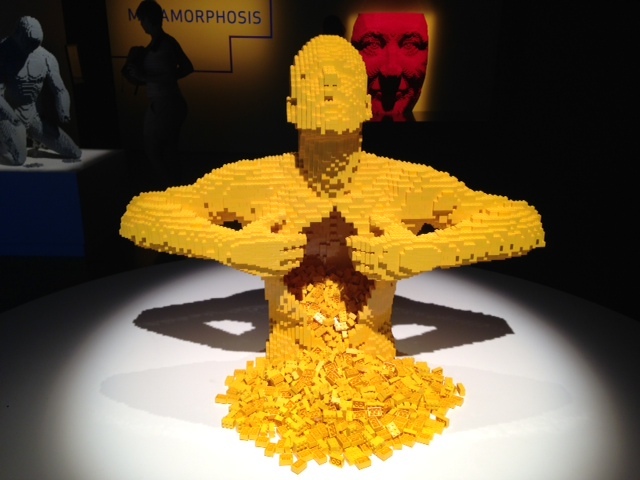 The expressive spirit of humans is something that never ceases to inspire me. I see it everywhere as I travel. 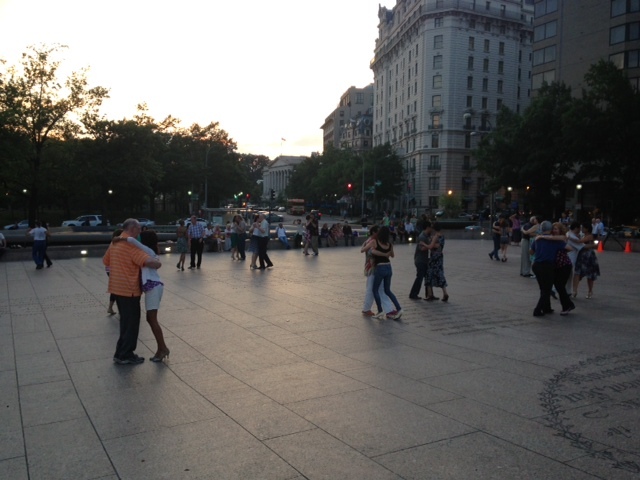 Sometimes it takes the form of couples learning to dance on a warm summer evening on a plaza a few meters from the White House. 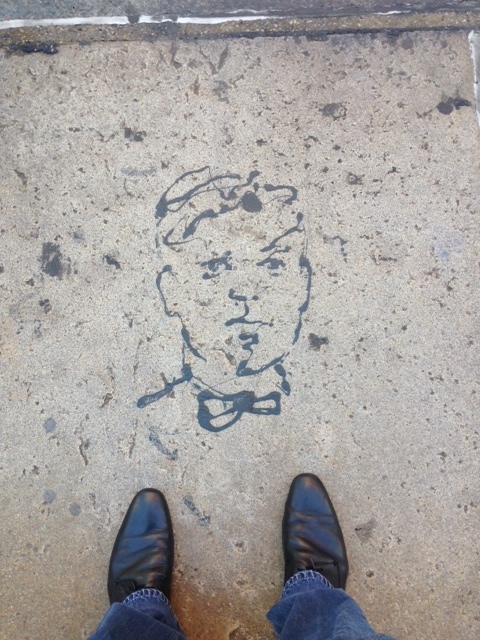 Sometimes it is hidden underfoot, left by an unknown Brooklyn street artist. 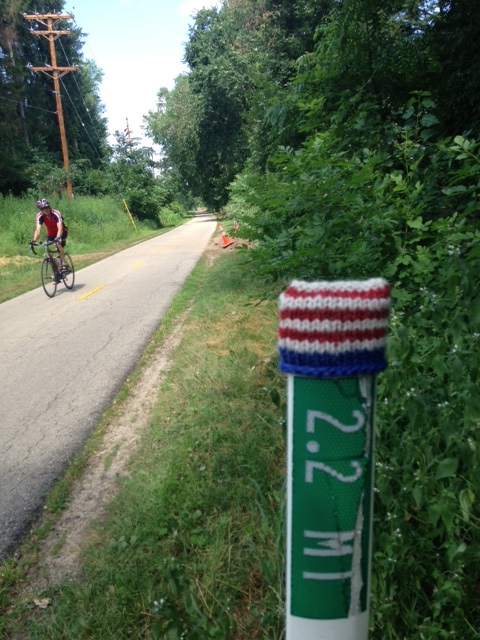 Sometimes it is created for a special audience as in the dozens of knit caps that top the street reflectors along a bicycle trail in Madison, Wisconsin. 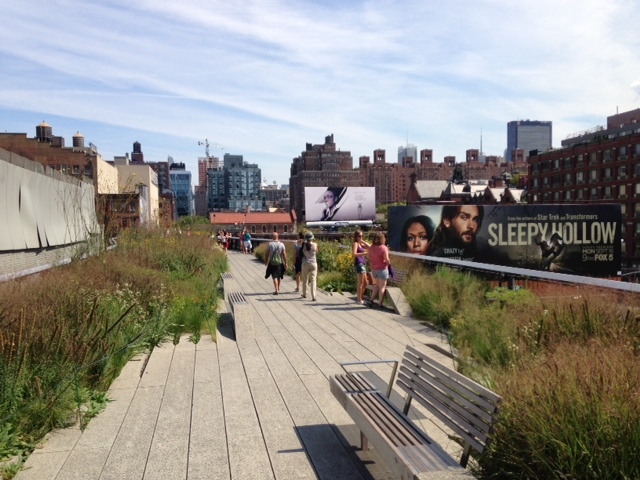 Sometimes the expression is embodied in the creativity of architects who have the vision to use an abandoned rail line to lift citizens above the city. Sometimes the expression is made through a unique medium (and by a former lawyer, no less). 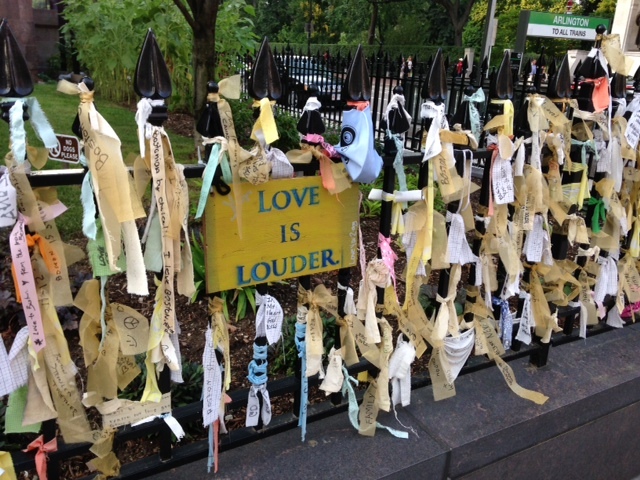 Sometimes it comes not from an individual, but from a community; a community expressing its collective grief (“Boston Strong”). Sometimes the expression causes us to challenge conventional thinking as in the Banksy street art I saw on a visit to London many years ago. Sometimes it’s an artistic voice that questions government restrictions. And, sometimes it represents the future. After years of sampling a variety of local cuisine, I finally ate my first durian. The durian is the hedgehog of the fruit world in both size and shape. Most prominent is its covering of large, solid thorns. That, and the smell, which can be described as somewhere between Epoisses cheese and my teenage son’s gym shoes. Which he wears without socks. 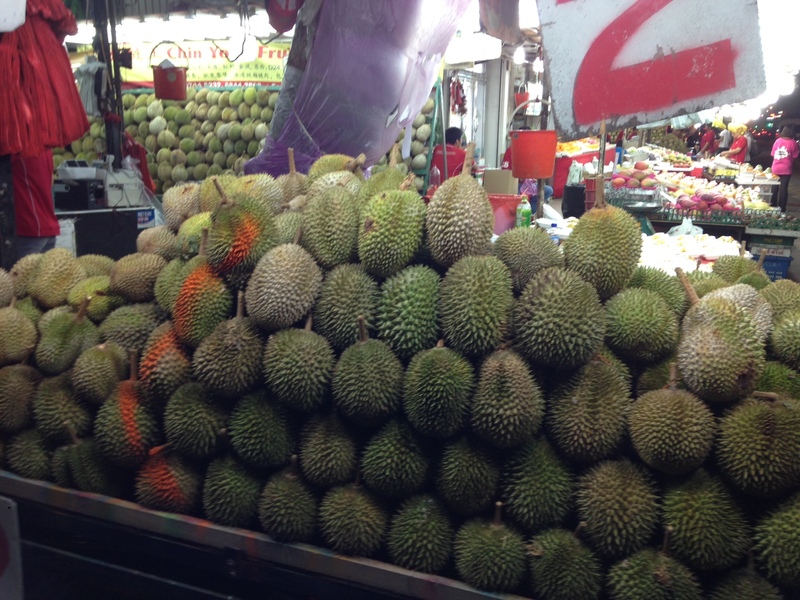 Despite this, I was looking forward to giving the durian a try. My assumption was that given its popularity in Singapore and cost (nearly $45 USD each) there must be some delicious treat inside. My colleagues and I purchased a durian and the shop proprietor sliced it open using a machete. Once opened, the durian revealed five sections with objects that looked like enormous banana slugs. Unfortunately; they also had the texture of a banana slug. This is considered the “good part” of the durian. “So, what do I do?” I ask my colleagues. “Ok. I’ll give it a try,” I say as I pinch an inch long chunk and throw it into my mouth, chewing quickly. “Well, do you like it? a colleague asks with a suggestion of hope in her voice. Normally, in this situation, I would take one for the team, put on a smile and say something neutral like “interesting flavor”. To which I repeatedly received this polite reply: “It must be an acquired taste.” Then my friends dug into the durian like it was cotton candy. Now certain things in life I consider an “acquired taste”: the automotive styling of the Prius C; any music by Psy; the Philadelphia Phillies; Zumba and recumbent bicycles are just a few examples that come to mind. The durian? Definitely, NOT an acquired taste. In fact, I’m not sure which marketing agency the Durian Fruit Growers Association is using, but they are doing an outstanding job.